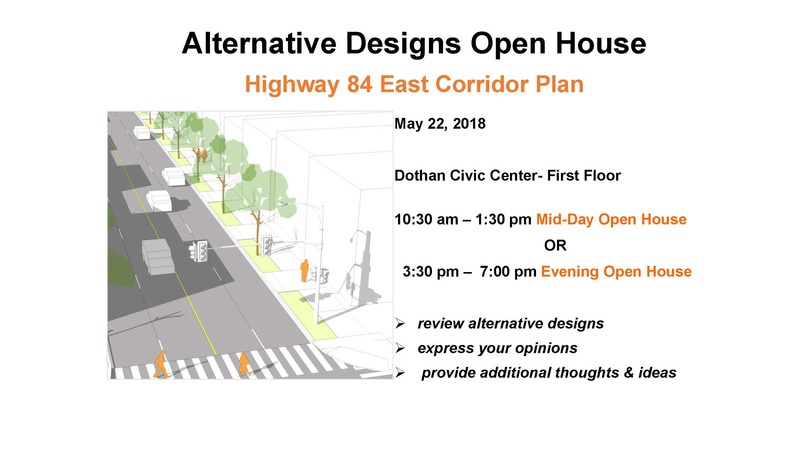 Highway 84 is a key transportation corridor impacting all segments of Dothan. The Corridor bisects the City, serving to accommodate east-west travel across the metropolitan area. The historic Downtown Commercial District, the campus of Southeast Alabama Medical Center (SAMC) and the Campus of the Alabama College of Osteopathic Medicine (ACOM) are anchor institutions and established activity centers that will serve as key drivers in the development of a comprehensive corridor plan. Read more under Project Overview below.